Reliance Jio is in talks with American chipmaker, Qualcomm to introduce a Snapdragon processor powered “Always Connected PCs”. We may soon see the much-loved ISP provider introducing a Google Chromebook killer in India. After disrupting the 4G mobile phone market in the country, the company is eyeing next big thing to connect Indians with their digital platforms including Jio Apps services. 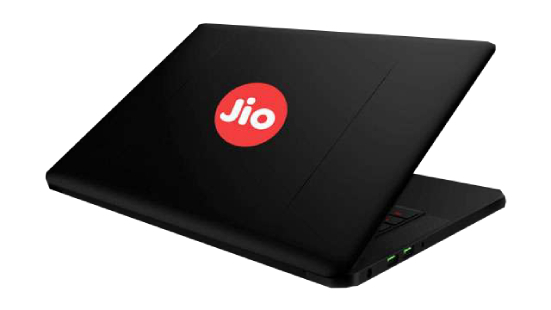 What are the Reliance Jio Laptop Specifications? As for now, the company has not yet confirmed any details regarding the laptop specifications. But it's learned that these highly portable laptops would be powered by Windows 10 OS. Probably a trimmed down Microsoft operating system with select application accessibility. These Reliance Jio Laptops would be targeted to the first time laptop users. It would offer them a portable and powerful alternative to their mobile phones. With many international schools opting for Google Chromebooks, we may see Reliance Jio empower the students in India with laptops at relatively lower price tag than its competitors. What could be the Reliance Jio Laptop price in India? These days many electronics manufacturers offer laptops for as low as Rs 15,000. But if Reliance Jio introduced sub-10K laptops in India with a variety of benefits, it will help this nation grow much stronger in this age of digitization. Reliance Jio 4G SIM Support Laptop full specs and reviews as of Apr 2019. Buy it here!